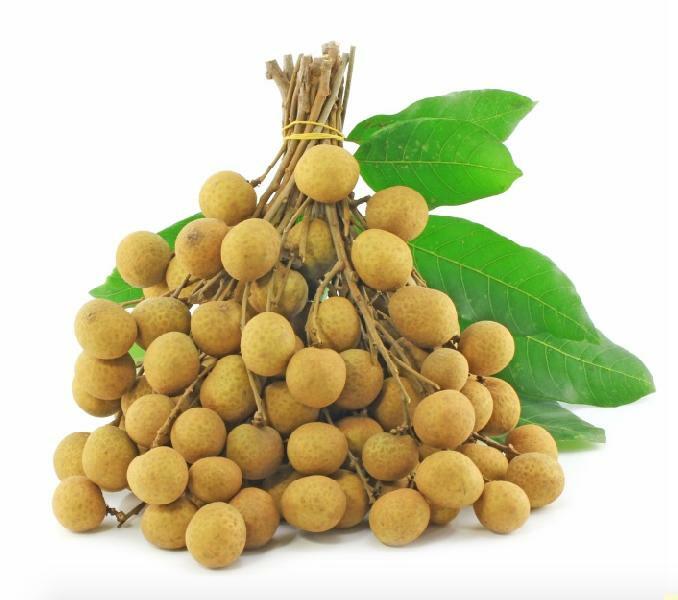 Ranging in size from an olive to a small plum and spherical to ovoid in shape,Longans have a thin rough-to-prickly brown easy to remove shell called a pericarp covering. its grayish-white translucent pulp. In the center of the juicy flesh is a large smooth jet-black seed with a white ovoid characteristic mark. Having a flesh reminiscent of a peeled grape, the flavor is wonderfully sweet and often described as a mysterious tasting blend of musk, spruce and gardenia.